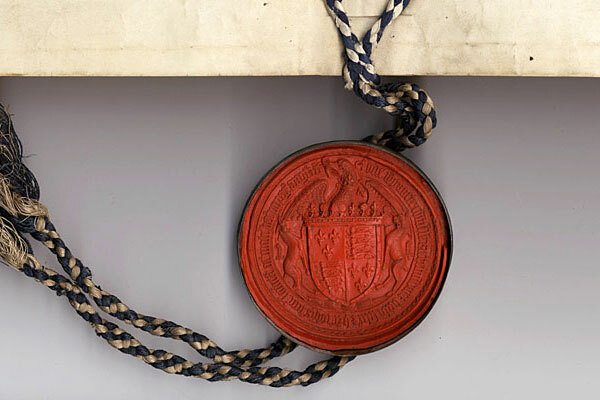 Institutional archives of St John’s since 1511 including statutes, registers of membership, orders and minutes of its organs of government, accounts, records of its buildings, benefactions and the administration of property. These records are added to regularly. Records and household accounts of Lady Margaret Beaufort the College’s foundress, and mother of King Henry VII. Rich medieval archive of deeds account rolls inherited from the Hospital of St John the Evangelist which preceded the College on the same site. Many of these records have a fascination far removed from the dryness of their titles. You can find a catalogue of the Archives here. 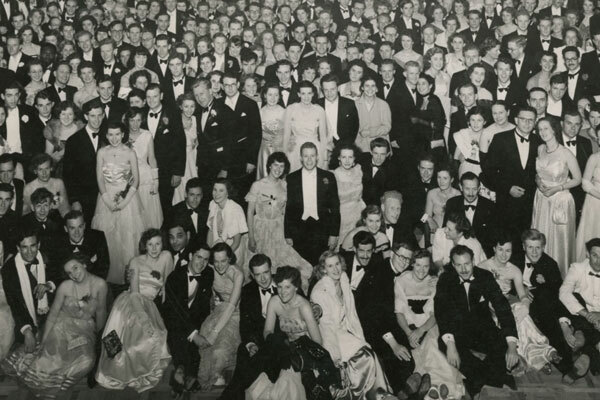 Please contact the Archivist if you can't find what you are looking for in the catalogue: archivist@joh.cam.ac.uk. The Library's Special Collections also include archival collections of personal papers of Johnians. If you wish to search across both the College Archives and the personal papers held by the Library click here. 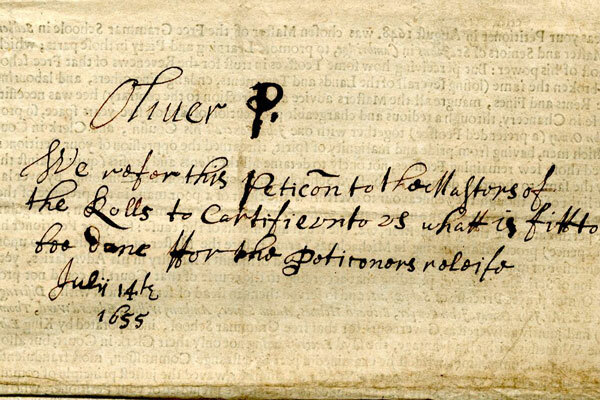 Off the shelf is a fascinating blog created during the process of cataloguing the collections at St John's. Take a look at the full collection of articles here. The School of Pythagoras now houses the College’s entire archival collection of papers, books and maps. Although listed and catalogued to a basic level much of this material remains inaccessible to the researcher. The production of a full and accessible catalogue of the collection is a priority for Archive staff. The relocation of the Centre to the School of Pythagoras in July 2014 provided us with an excellent opportunity to focus on unprocessed and undiscovered items within the collection. 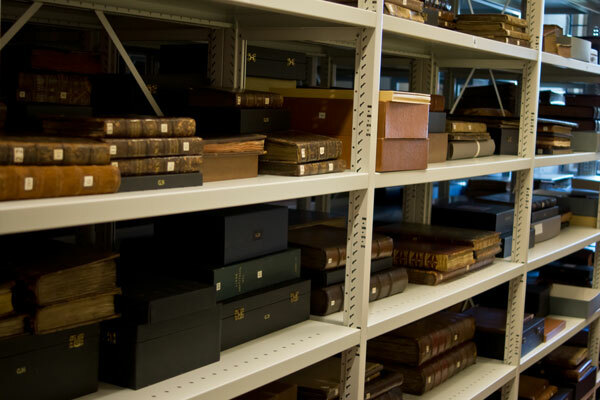 Archival cataloguing is hugely important because it greatly facilitates access for researchers, by identifying and explaining the context and content of the material. The product of this work is an online catalogue, which is full text searchable. Additionally, cataloguing work also helps to ensure that the archive material lasts for future generations by highlighting the need for vital preservation work. 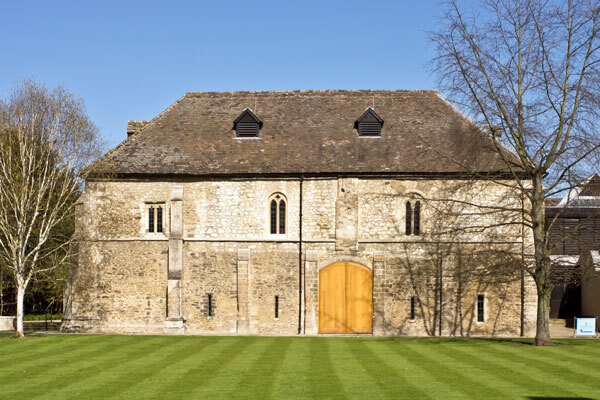 Built sometime between 1180 and 1200 C.E., the School of Pythagoras is the oldest extant secular building in Cambridge. 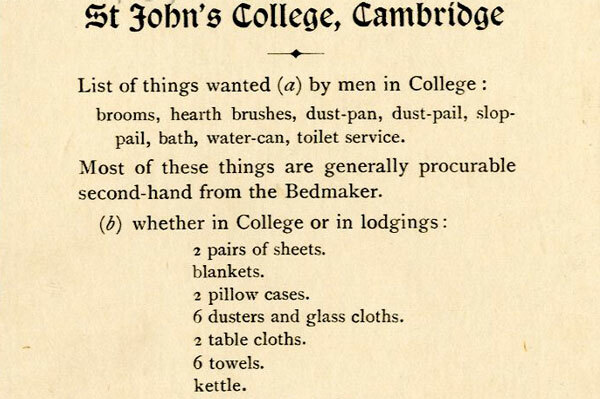 Today it is home to the St. John’s College Archives Centre, yet as the following articles reveal, this one-time medieval town-house bears both physical and textual traces of a rich and varied past. 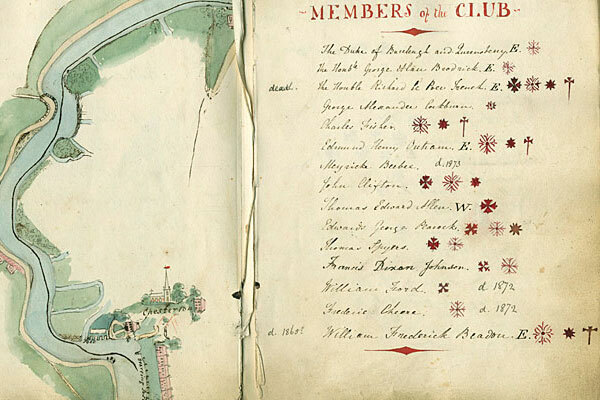 More about the School's long and fascinating history may be found here. A series of exhibitions take place in the College Archive Centre every term, but for those who cannot attend they are also available online as virtual exhibitions. Follow the links below to take a look at some of our recent and past displays. 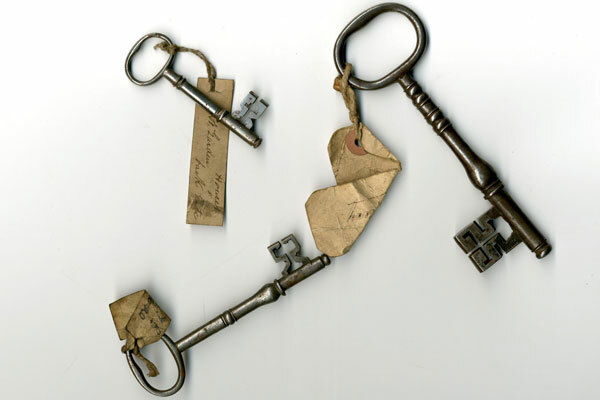 Keys, top hats and banners: A porter's life. Keep off the grass: St John's gardeners through time. Master's Chefs: Kitchen staff at St John's College. 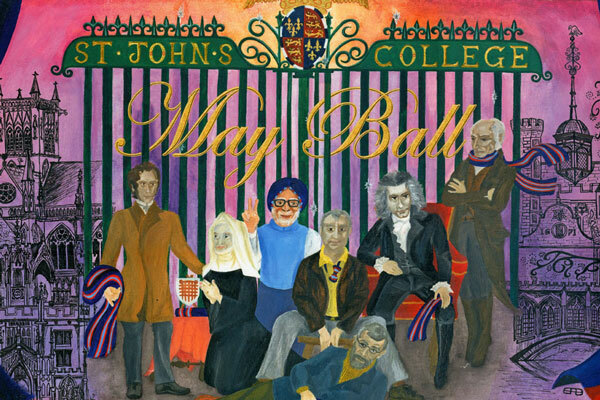 From College balls, to bills and bridges, St John's Top 5 spotlights the very best from the Archive's collections. Follow the links below to find out more about some interesting episodes in our past, seen through our Archival resources. 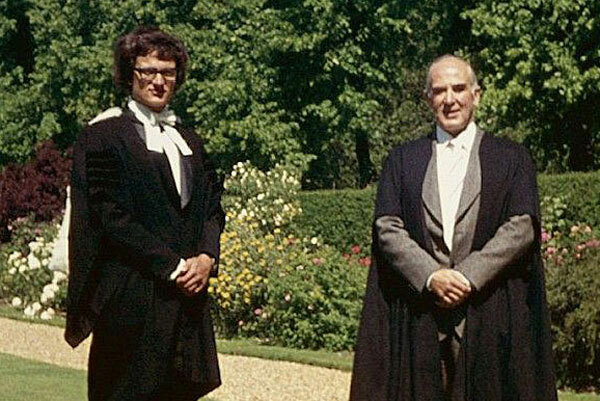 From Nobel prizewinners and parliamentarians to porters and postmen Interesting Johnians looks at those who have studied and worked at St John's. The full collection of articles about interesting Johnians may be viewed here. To mark the anniversary of the First World War special entries will appear featuring Johnians who left College to fight in the war. These entries will be marked by a red poppy. Tracy provides inductions for undergraduate and postgraduate students, introducing them to the wealth of material available in the College archives. We welcome small group visits by students, members and staff from College (and University) departments, including general familiarisation visits for newly-inducted students and timetabled teaching sessions involving hands-on use of archive documents and rare books designed for specific course modules. The Archives fully support the College teaching programme across the different Departments and Schools. Recent inductions have included students from Politics, Psychology & Sociology and History. The collections of historical material held in the Archives provide an invaluable teaching resource and College Tutors who think their students might benefit are encouraged to contact the Archivist. See this PowerPoint presentation below to see how you can use archives effectively when writing a dissertation.